Local roads partly paved with broken grey dolerite from surface of Prospect Hill. Frenchman L. Lesson, referred to Prospect Hill as being entirely composed of dolerite. Charles Darwin visited Prospect Hill, to observe the geology, mentioned in his book, ‘the voyage of the Beagle’. Historical records refer to blue stone quarry supplying most of Sydney, and Great Western Road contractors with road metal. New South Wales Mines Department annual report, stated basalt on Prospect Hill was good-quality, unlimited quantities. 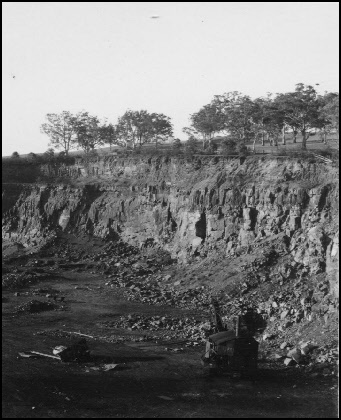 Quarrying on west side of hill for Prospect Reservoir. Bought by New South Wales, Blue Metal Company., Ltd, reformed into public company, the New South Wales Associated Blue Metal Quarries Ltd. Leased land from Metropolitan Water Sewerage and Drainage Board. 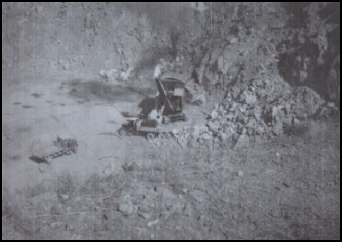 Formed the City and Suburban Blue Metal Quarries, Proprietary Ltd., which established the Windemere Quarry on the Southern side of Prospect Hill in 1926. 2,000,000 tonnes of stone a year, extracted from Prospect Hill. Blue Metal and Gravel Proprietary Ltd, formed as a selling company. Bought 500 acres of freehold land, known as a Greystanes Estate from the Charley Family for 38,000 pounds. Styles Blue Metal Co Ltd., leased land to the west of Prospect Quarry from the Water Board, this quarry was later operated by Ready Mixed Concrete. BMG established a hot mix, bitumen plant called Bituminous Pavements at Prospect. Blue Metal Industries Ltd, formed as a holding company. Gold discovered on Prospect Hill, assays found it was not in payable quantity. Boral Ltd, took over BMI Ltd.
Greystanes, administrative buildings used for a large number of Boral Companies. 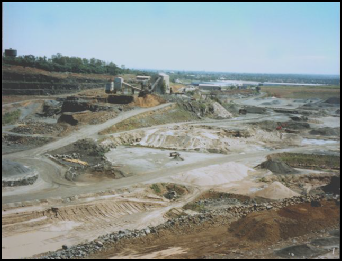 Prospect and Greystanes, sites hold the major quarry, 2 crushing plants and associated facilities, 2 asphalt plants, Boral Bricks, and Boral Besser Blocks plants and two laboratories. Quarries Pty Limited properties. 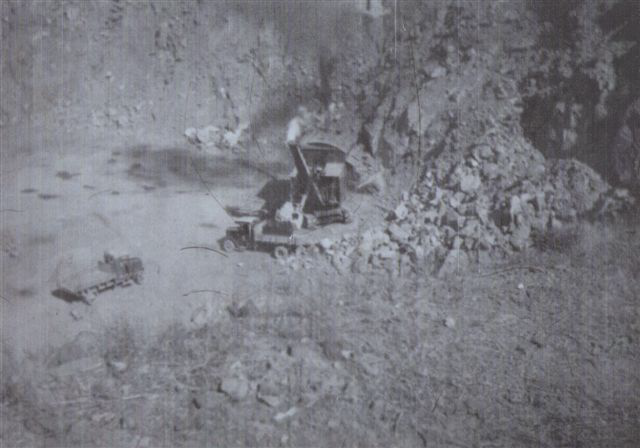 By the end of World War II, BMG had closed down all the quarries except for two that had the best class of basalt, Prospect quarry being one of the two. The Prospect quarry is formed by an intrusion of dolerite rock into Ashfield Shale. At least seven different rock types occur in the intrusion. BMG began to diversify their operations in 1951, which resulted in a hot mix bitumen plant called Bituminous Pavements being established at Prospect. By 1978 the company that ran this operation was called Blue Metal Industries Limited (BMI). This company claimed to own and operate Australia’s largest and one of Australia’s most modern blue metal quarries on their Prospect holding, known as the Greystanes Estate. Boral Limited acquired BMI in 1982 and used the Greystanes site to provide administrative support for many of Boral’s companies. Boral have initiated plans to close down the quarry and turn the 330ha site into half light industrial, half housing and open space, with the transition expected to be completed by 2013.